You know those families that seem to have it all figured out and are just completely put together. Yeah, that is definitely not us. Days that the baby and I are showered and all ready to conquer the day before noon, are very few and far between. This Halloween, however, I had it all figured out… we were going to think of the perfect coordinating costumes. As we have been so busy with our Fall Weddings, October just flew by and nothing is coordinating about these sad costumes. To all of those of you who have it figured out and shower before noon; I commend you and can’t wait to see your coordinating, creative costumes. 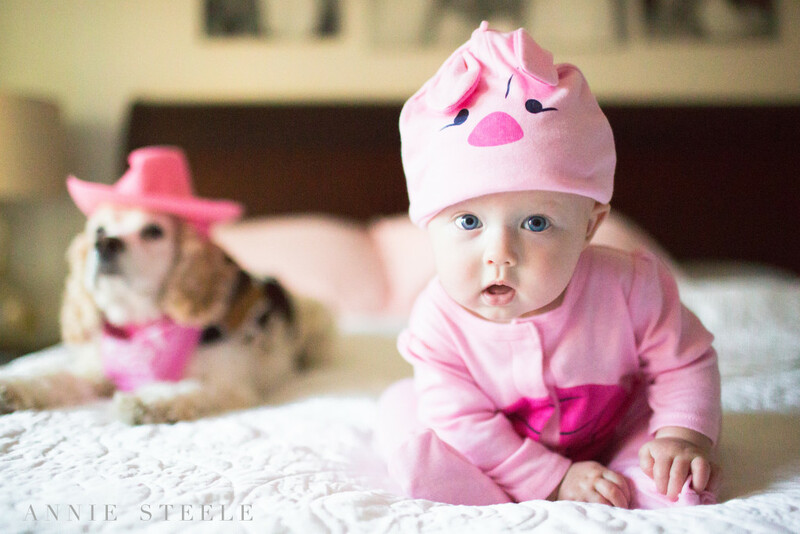 As for me and my babies, Harper is Piglet, and Ellie is a cowgirl.